Ahhhh, I am taking a breath and resting a little bit before I really get going with fall decorations. I have a couple of fun projects in mind including a some great Halloween crafts! Next week I will be hosting another tablescape blog hop with talented table stylists each sharing their vision of a fall table! Next week Sandra and I will also be welcoming a new blogger to Celebrate Your Story! Kari, the talent behind Me and My Captain will be hosting with us! 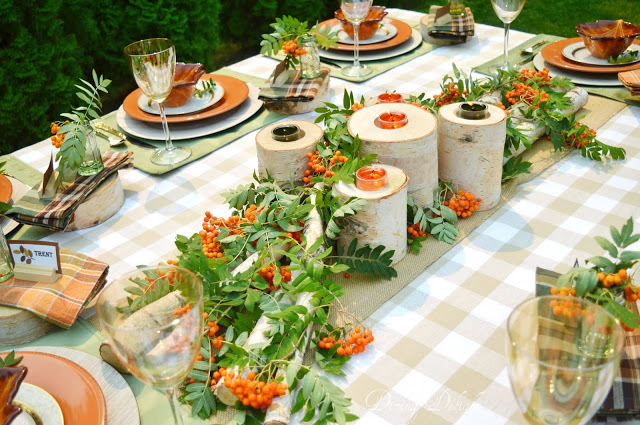 Dining Delight caught my eye with with her beautiful Berries & Birch – Summer to Fall Tablescape. I really like how she used 2 folding tables to create a big banquet style table with lots of room for guests! 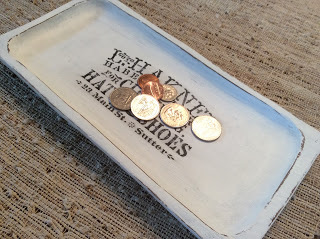 My second feature this week is this great Valet from Thrifted Serving Set from Fresh Vintage by Lisa. You have to see what this looked like before here handy work! Tracey from The Kitchen is My Playground has my mouth watering with her recipe for Buttermilk Baked Chicken. 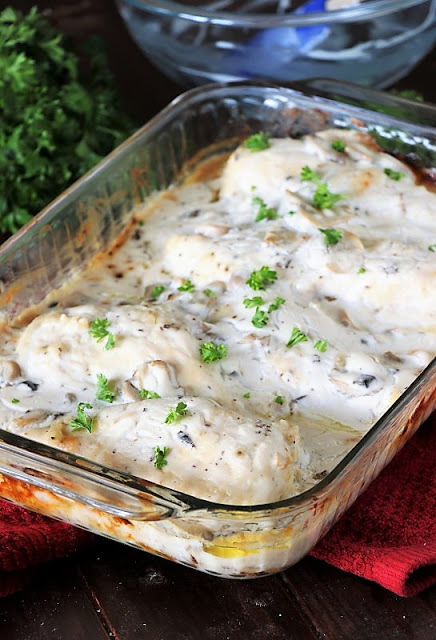 Sandra selected this scrumptious dinner entree for one of her features this week! Are you one of those gardeners with an over abundance of zucchini from your garden this time of year? 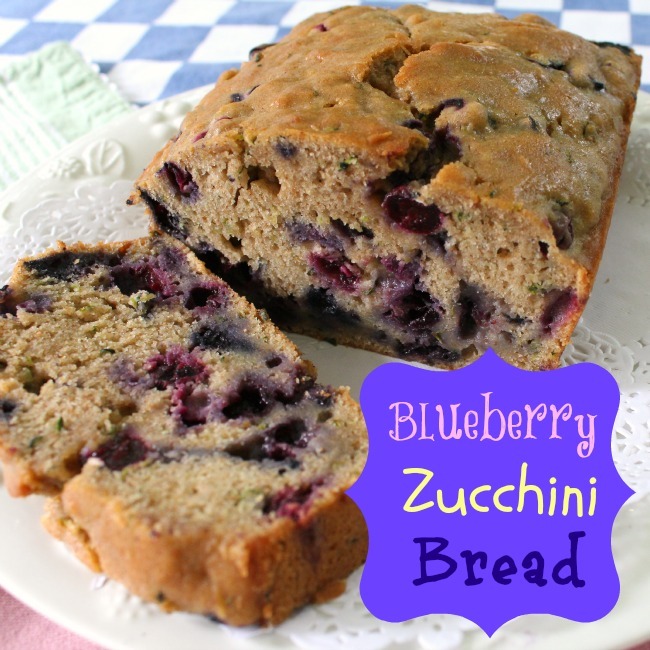 If so, Sandra’s second feature this week, this Blueberry Zucchini Bread recipe will be one you want to try! This is from Crafts a la mode! The most clicked link last week was Ideas for Fall from The Painted Apron. 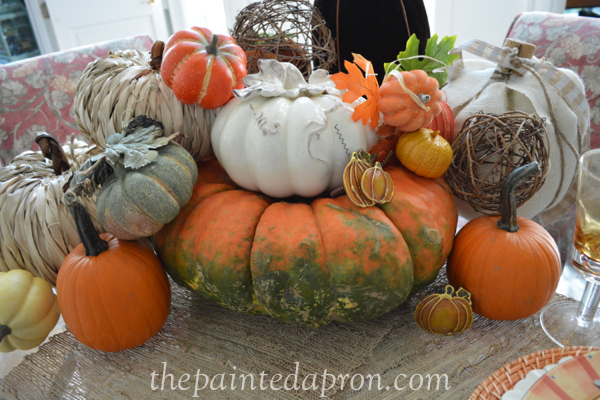 Evidently a lot of us are starting to think about fall decorating and this post has so many ideas for decorating and food to welcome the next season. Thanks for hosting and the beautiful features, Chloe! Have a great week. How fun that Kari will be joining the hosting of Celebrate Your Story! Thank you, ladies! Thank you so much Chloe for featuring my Berries & Birch Tablescape! I appreciate it and am grateful to you for hosting this wonderful party each week. Hope you have a relaxing time before going full-tilt into fall decor and crafts, I’m sure you need a breather! Kari is so much fun, great choice! I am thrilled to be most clicked last week, wow, thanks Chloe & Sandra! This is a great way to start the week, thanks for being the hostess mostest! Thanks so much for hosting! Enjoy your week! Wonderful features Chloe! Thank you for hosting. Looking forward to seeing what everyone comes up with for the next blog hop! Thanks for the party, Chloe! Hope you have a great week. I’m looking forward to your fall crafts-they are always so fun. Thank you so much for hosting. I brought one of our old time favorite back home. I hope you have a great week. Thank you so much for the beautiful party! I appreciate you so much. I am honored that you added my Valet to your features. Thank you for coming by and sharing!